Work for Google Cloud Translation API? Learning about Cloud Translation API? "Faster Than Learning a New Language"
This product translates texts on sites quickly and accurately. The technology also recognizes texts and languages if you don't know exactly what language is shown - which is especially helpful for some of the image-based languages. Sometimes slang isn't picked up appropriately, so the phrase becomes misconstrued, however it isn't necessarily that negative of an aspect when considering the overall sentiment is generally correct. Definitely give it a try! It's a great tool for breaking down language barriers, and will help connect you with others who are interested in your product or in your area of business, yet don't have the language to back it up. Being able to communicate with other countries and employees with language barriers has been especially helpful utilizing Cloud Translation API. Becoming more personally connected to other employees and being able to connect with other businesses has been influential on our overall business. "Great to use around the world"
Translating manually can be difficult but with Google Cloud Translation I can just press "listen" and the person can speak right into the application and translate real time. It helps overseas when I am over there for business and even on vacation when speaking with the locals. If it's hard to pick up audio, the application can fail to translate. Any background noise will distort your output and make the translation wrong in the end. Talk to text is hard enough as is, but the background noise makes it even harder. If you're in a quiet, isolated space (indoors or outside), you shouldn't have any issues with this. Give it a chance and use it while you're traveling internationally. So easy to use. I was able to speak to several different people who spoke Dutch, French, and German during my travels with the use of this app. Saves time and data, so you're not googling everything during your vacation or business trip. Interfacing with international customers is a lot simpler now. I don't need to type out a translation. Plus I can now hear it read back to me. It's incredibly speedy, compared to old school methods of translating. "Google Translate 2.0 API is way better than the Google Translate you remember." Updated to use TensorFlow Recurrent neural networks for translation, so you get Machine Translation with very competitive BLEU scores for select (mostly European) languages. Customer support for Google Cloud (much like all Google products) is absolute garbage. It seems like there are a lot of well-meaning people, but they're stuck in rigid processes and terrible / slow email support patterns which make it impossible to actually help solve customer issues. Try out Google translate with large samples in the language pair(s) you're looking to use using the web interface (same engine that powers translate.google.com). Evaluate this to see if it meets your needs. Fails for most languages with technical vocabulary, or long / articulate passages. Passable for some use-cases. "Cloud Translation helps tremendously while working with clients. " I like how easy the platform is to use and how many options there are! It is as easy as a click of a button and scrolling. I used it with a client recently to translate a document for their personal paperwork. It might take a while to find the language you need to use. There is a lot of scrolling and words that sometimes it hard to find what you need right away. I have used it while working with clients from all over. Helps me connect with clients and get them what they need quicker. Lots of translating documents so the process with clients can be faster. "Works fine for translating simple words but not for translating complete sentences"
What I like most about this software is that I am able to pull it up on my phone or on my laptop within a few seconds. I also love the fact that words appear in the target language while you are still typing the the words from the source language. I also like it how the program would list more than word in the target language as a possible solution. I dislike the fact that sometimes the program seems to be inaccurate / incomplete. I work as a professional over the phone interpreter and many times i would use Google Translate. This is especially true for medical translations. Many of the medical terminology is simply missing from Google Translate. For medical translations I would much rather make use of medical dictionaries that seem to be more accurate. Also, I know that many would try using this program for translating full sentences. This might work for some languages, however due to the complexity of my language (Hungarian) this task seems to be near impossible for this program. As for problem solving it an inexpensive way of having words translated. The program offers great solutions for simple words or even phases. No need to call an interpreter or a translator to have your documents translated. At the same time you would need to keep in mind that this is only a partial solution and that for any major projects or even for official documents, such as certificates this cannot be an option. What I like the most in the rapid response and platform integration. It works! dynamic translation in real time. Capable of translation in many languages conveniently in Spanish and French as well. Easy to deploy, program and execute. It needs a some time for users to understand how it works and there is a learning curve for end users to acclimate with the products and develop a trust factor to what this product can do for them. trust is a very important factor. I recommend Cloud Translation API to any organization looking to implement a source code solution that improve language translation and cloud infrastructure. High level of communication between end users and vendors, directors and customers. It is intuitive easy to code and leverage until different level platforms and applications. Worked with engineers to to write configuration to be used in the remote global locations. "Fully featured; does everything you need it to"
Does language detection and translation for pretty much every language you'd need. Literally the only issue I've run into is with the terms of service. I wanted to use it to translate select phrases on my site into another language and it technically requires me to credit all those translations to Google. This restriction can by bypassed if I manually proof each translation (which is what I do), but it'd be easier if I could skip that for short phrases/incomplete sentences. None. Easy to use and self explanatory. 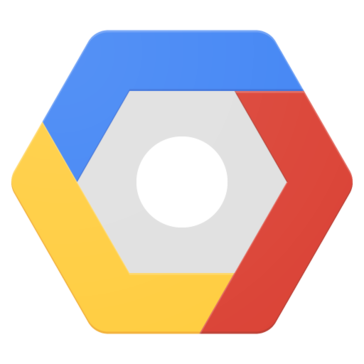 It was very easy to start using this product because of my familiarity with other Google Cloud API products. I was encourage to use this because my own experience with translate.google.com and I figured this would work really well for my project. Developer support was pretty good because the Dev community is strong on this platform. There wasn't much I didn't like. I would've liked shorter setup and cheaper costs per API call. Using it as a machine translator to compare quality of summarization text in different languages. We can use this as an alternative to an expensive telephone interpreter and this has saved us money. "Google Translate 2.0 API is way better than the Google Translate"
"One of the better translating services"
In an international environment, we use cloud translation API to communicate with our international customers. "Don't know a foreign language then use Cloud Translation to help." It is easy to use. You simply type what you want to say and then hit Translate and select the language. The translation is not always what you are trying to tell the other person. This program is worth a try to see if it is a fit for you. In our community we have a Spanish population and I am able to offer my products to them. I type up what i want to tell them and have it translated to Spanish. What I receive back I translate from Spanish to English. The translations are okayish but are constantly improving. It still fails to understand the context and does a literal translation which is not always required. According to the accuracy the rate are a little too high. I wish they were cheaper. Used it in a mobile app for auto-translating string for international users. "Google Translate - A Must for International Organizations"
I use Google Translate almost daily. Our organization has members from all over the world and I frequently get emails in foreign languages. I copy and paste into Google Translate. To reply, I put my reply in Google Translate and copy the result into the reply email. It's a huge time and money saver. Not necessarily a dislike, but it's not always completely accurate. However, with all of the dialects of all of the languages, it can't be expected to be. Saving time and money using Google Translate to translate foreign language conversations. I like the concept and the cloud-based aspect of Google Translate API. I also enjoy that there is no longer a need to know the language that the original comes from with the service. I think the translation, though advertised as dynamic, is often lacking in clarity. Translations working in a multiple-language envioronment. Its brilliant. I deal in many languages and this is simply brilliant. I am happy to have found this solution. Cloud Translation API is fast, simple, and dynamic. My least favorite attribute is price. It is a bit expensive. Consider it as an alternative, but not a replacement. We use Cloud Translation API for data-driven analytics. It's simple, easy to install, and is very fast for the most part. It worked for most of my websites. It was also useful for different chats I was using. It didn't work for every website (blogs mostly). We were able to use it for many different research resources which was very helpful. Needs more support, have issue finding problems to errors on occasion and have to resort to forums. Overall we were looking for a robust API without the snags and issues we've had with other Apps ..cross platform was important because of environment. "One of the best cloud translation API product"
Provides a sample programmatic interface for translating string into any supported languages. The cost of product is still high, should lover it so more people can try. Used in combination and enables translation between thousands of language pairs. Problems with staff, consumers. Benefits are it’s easy to use and loads up pretty fast. It supports hundreds on languages which makes it easier to convert our software. Fast, easy, dynamic translation, reliable. Being able to reach larger audiences through language translation gaining access to more market potential. "Good concept, not 100% accurate"
It can translate pretty much any language imaginable. Sometimes the meaning is lost in the translation. Updated to use TensorFlow Recurrent neural networks for translation. Customer support is horribly, very slow and but they try. Website translation for dynamic content. Best software, time saver and efficient. Good API for translating. Simple to use. Could be more extensive in capabilities. Learning about Google Cloud Translation API? * We monitor all Google Cloud Translation API reviews to prevent fraudulent reviews and keep review quality high. We do not post reviews by company employees or direct competitors. Validated reviews require the user to submit a screenshot of the product containing their user ID, in order to verify a user is an actual user of the product. Hi there! Are you looking to implement a solution like Cloud Translation API?